One of Korea's most beloved stars, SONG Kang-ho is set to play the role of a human rights lawyer in the 1980s in the film The Counsel (working title). 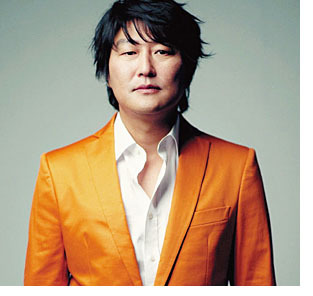 The script of The Counsel was written by YANG Woo-suk, a famous writer best know for ‘Steel Rain’, a military webtoon. YANG is also going to debut as a director with the film. The project earned some early notice when its scenario was first released. The investor and distributor NEW as well as the leading actor SONG didn’t hesitate to join the project, a sign of the script's strength. SONG has proved his worth with a long streak of successful films such as The Host, Sympathy for Mr. Vengeance, The Good, The Bad And The Weird and Thirst and he will continue to show off his ample skills in the soon-to-released Snow Piercer and The Face Reader. With a variety of different characters to his name, he is gearing up for another challenge as he prepares to play a lawyer in the 1980s in The Counsel. The film has garnered curiosity as it is a story is about the late ROH Moo-hyun, a former president of Korea. The casting process has been finished and shooting will begin in March.